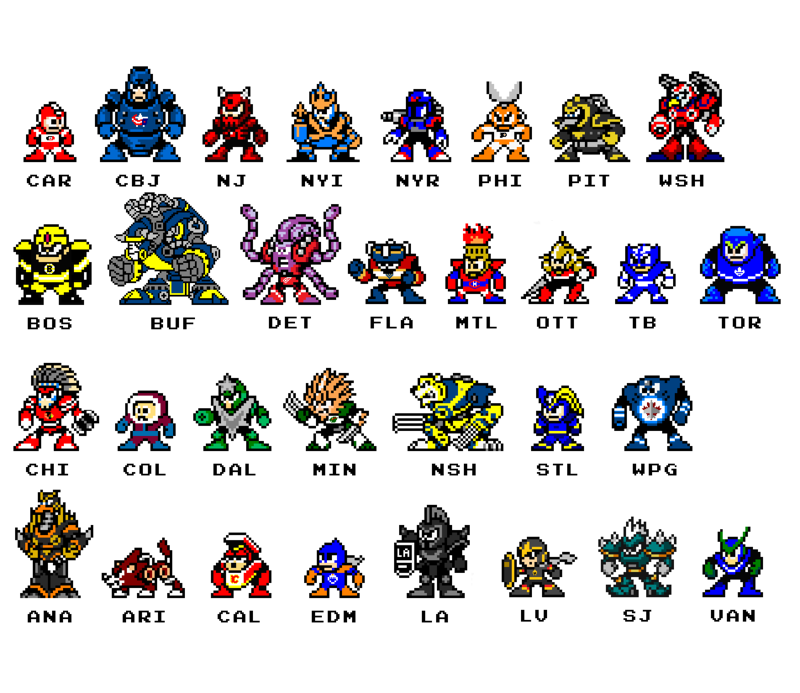 Ever since I did the GDT last month, I've been tinkering around with finding Mega Man characters for each NHL franchise. I'm currently almost halfway done, but I figured I'd post pics once I get a division done. First up is the Metro division. Click on the pic to enlarge. Why is the Canes guy so small? He must still be growing. Or maybe Gerbe is RNTs favorite player? I admit, I do like Gerbe. That's the titular hero of the series. All the sprites are scaled the same, so I'm not sure why he's smaller than the others, other than maybe the designers wanted to invoke the "little guy against all odds" feeling. Atlantic Division is done. Also, here's a bonus pic of Gutsman lifting a zamboni. Click on the pics to enlarge. Central Division is done. As always, click on the pic to enlarge. Pacific Division is done! Click on the pic to enlarge. And finally, the whole league. Whew, this took longer than I thought it would. Lots of terrific work here! Thanks for sharing it RNT! Yeah, these are crazy cool. Thanks guys! I think with the addition of the Vegas Golden Knights, I might have to tweak some things soon. Hey guys. 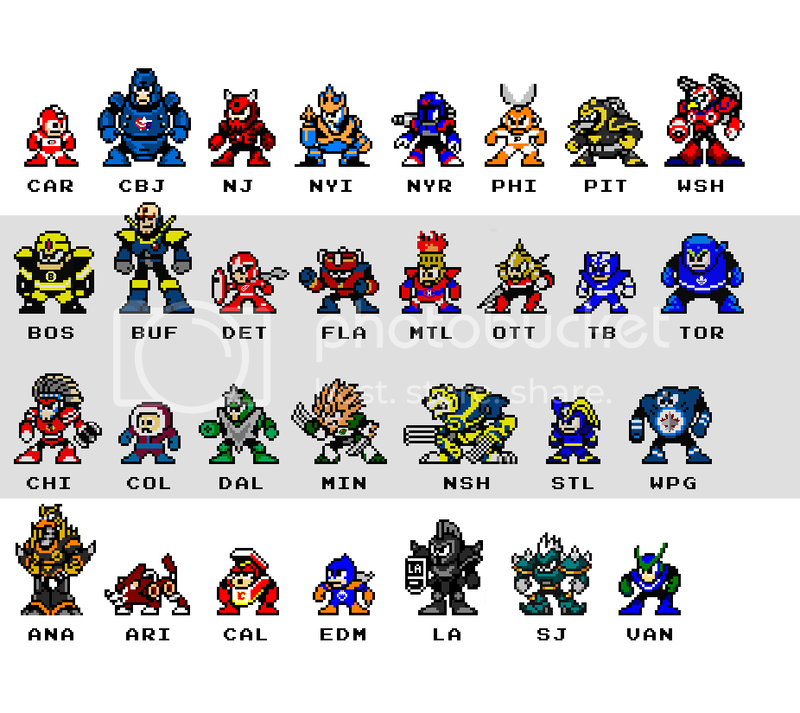 I've added the Las Vegas Golden Knights to the lineup, while also making updates to Buffalo, Detroit, and Florida. Hope y'all like it.